The world of golf is a far better place with a swashbuckling Spaniard prowling the fairways, destroying course records, and playing sublime golf. 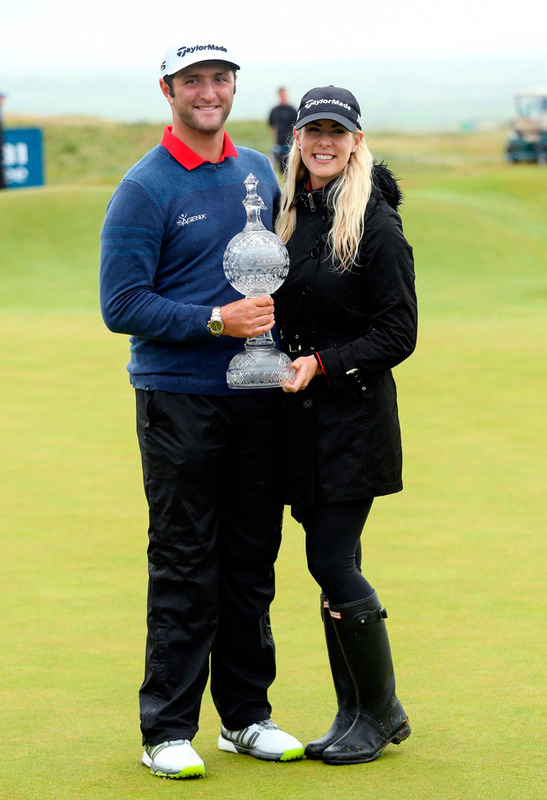 Jon Rahm, whose rise to stardom has been meteoric since he struck his first tee shot as a professional in the Quicken Loans National on the PGA Tour in June, 2016, gave the Dubai Duty Free Irish Open a great champion at Portstewart on its debut as a €7 million event on the Rolex Series roster. Rahm started the day as joint leader on 17-under, alongside Daniel Im of the USA, but he stomped all over the opposition by shooting 65 to win by six shots and set a new tournament record of 24-under - beating Christy O'Connor Jnr's previous best of 21-under, set at Woodbrook in 1975. Scotland's Richie Ramsay (65) and Matthew Southgate of England (66) finished joint second on 18-under. Olympic champion Justin Rose, David Drysdale (Scotland), Ryan Fox of New Zealand and Im tied for fourth place, all of them at 17-under. Ramsay, Drysdale and Fox claimed the three places available from Portstewart for the Open Championship. Drysdale shot 63, the lowest round of the day, but the next best score belonged to Irish Challenge Tour player Gavin Moynihan, a tournament invitee, who shot a stunning 64. Moynihan's card contained seven birdies and an eagle three, with only one bogey. The Island golfer was the best Irish finisher in a tie for 14th and he earned a cheque for €84,505.61. Newly crowned champion Rahm took home a whopping €1,019362, the biggest first prize in the 90-year history of the Irish Open. Rahm is only 22 years of age, but he has already won on the PGA Tour by claiming the Farmers Insurance Open in January. Now the man from Barrika, near Bilbao in Spain's Basque country, is a winner for the first time on the European Tour, and joins his hero Seve Ballesteros, Jose Maria Olazabal and Sergio Garcia on the Spanish roll of honour as Irish Open champions. "I know the trophy is right next to me and my name is going to be there forever now, but it seems hard to believe that it's happened," he said after his stellar day. "It's kind of somewhat surreal. It's hard to explain. "I just look at it and I see (the name of) Nick Faldo, I see Jose Maria Olazabal, I see Nick Faldo again, I see Colin Montgomerie, Ian Woosnam, Seve. "That's a great list of the greatest European Tour players ever, and to have my name next to it, and the last one, Rory McIlroy, it's so special. 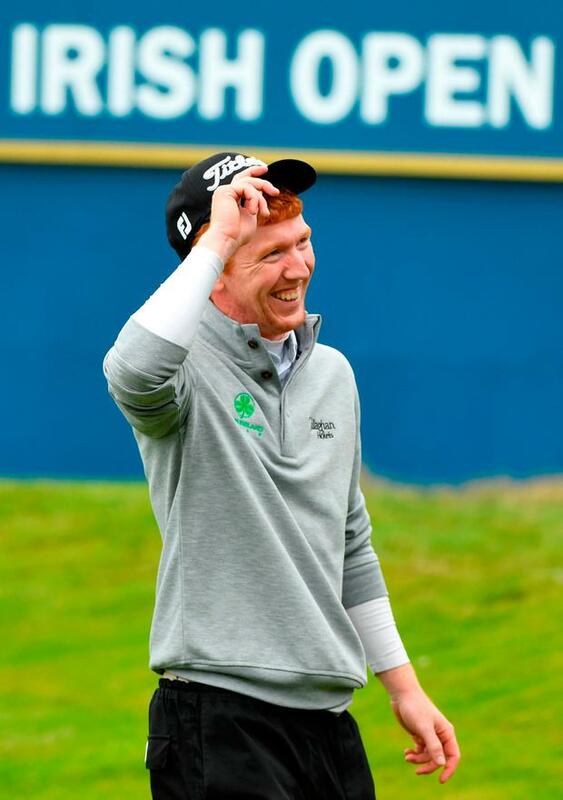 "Not just to win this event, but to win it at the place I just won it, Portstewart, great golf course, with the fans supporting me better than I've ever seen anybody support me. It's been unbelievable," said Rahm. The weather gods did not smile on the final day of this venerable championship, but Rahm was a golden ray of sunshine amid the grey, overcast skies and the steady downpours of rain. There was nothing boring about his final round. Not for him the 'hit fairways, hit greens, roll in the putts' metronomic routine. Rahm did it all. He had the crowd ducking for cover at times with wayward tee shots, survived a brush with a Rules official and, above all, played exciting golf. The moment he holed out his third shot to the par five fourth from 150 yards, for an eagle three, a frisson of excitement ran through the galleries. This was the kind of golf expected of the young Spaniard and he was on his way to delivering the goods as ordered. He admitted his passionate nature got the better of him occasionally when he let clubs slip out of his hand in annoyance a couple of times, but three birdies helped him to turn in 31, 5-under par for the day, and six shots better than Im's front nine. Rahm birdied 10 and made par at 11 and 12, but by then the warning bells were ringing and EuropeanTour chief referee Andy McFee was on his way for a chat - never a good thing for a golfer. The issue had arisen because of a review of Rahm's marking of his ball on the sixth green. In order to avoid his marker being on Im's line for a short putt, the Spaniard decided to mark his ball to the side. He then marked again, one putter-head length to the side, leaving Im's ball clear to play. However, when he went through the reverse procedure, and his marker was returned to its original position, Rahm appeared to have placed his ball in front of the marker, not to the side, as it was when he had first lifted the ball. Tour officials checked out the television replays very carefully and, with a degree of flexibility allowed since the infamous four-shot penalty applied to Lexi Thompson on the LPGA Tour last April for a marking infraction, Rahm got the benefit of the doubt. "I don't think the ball was put down in exactly the right place, but I think it falls within the player has made a reasonable judgement to put it back. So that's why there's no penalty," said McFee. Rahm and Im agreed that the Spaniard had to replace the ball to the side. They believed he had followed correct procedure, but Rahm was prepared to accept a penalty if that was the decision. It wasn't, and though he felt a little hot under the collar, Rahm responded with an eagle three on the 14th hole. A par, bogey, birdie, bogey finish rounded off his day to remember. In the absence of tournament host Rory McIlroy - who missed the cut on Friday - the scintillating race to glory by 'Rahmbo' ensured a truly fitting climax to a day which began with the home fires burning, as represented by Moynihan. 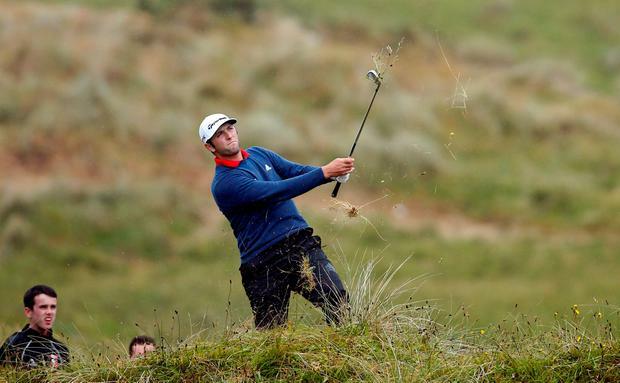 The Team Ireland golfer was eight-under par for the round, but was bunkered off the 18th tee. He splashed out and from 170 yards, played an 8 iron to 15 feet. This was a test of character and Moynihan met it head on by holing out for a super par for his 64. Afterwards he thanked coach Shane O'Grady for improving his game, and Colm McLoughlin of Dubai Duty Free for the invitation. "Last year I was lost with my swing. Shane O'Grady has been a huge help and I can't emphasise that enough. He has gotten my swing back," Moynihan said. "I had a bad finish last night. That put me in a bad mood, I was just determined to shoot in the 60s, that was the goal today. I wouldn't say an effortless round, but it was very relaxed."